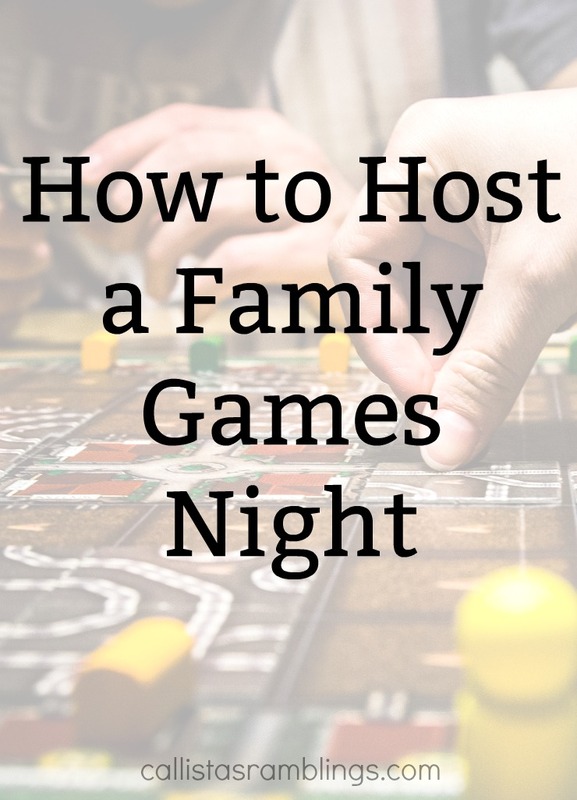 Have you wondered how to host a family game night? It’s really simple! The basics are family+games=family game night. Of course you can add more to it than that and do some simple prep to make it more fun and go more smoothly. There are a few things you can do ahead of time to ensure a great games night. Pick a day and time ahead of time so the family can carve out time from their busy schedules to attend. It won’t be the same if only half of the family is there. If you have kids that are too young to play games, arrange for a babysitter to come to your house so the family is still with you, but someone else can keep them busy with kiddie games. Find a large flat surface with lots of chairs in your house. If you don’t naturally have a good spot, clear some furniture and clutter to make room. Pick out some games to play. There are tons of options. If you don’t have a lot of games, consider purchasing a game ahead of time. My other blog Great Gaming Blog has some good options, including the new Apples to Apples Freestyle. Put out some food to eat or order a pizza, or both. We always eat lots at our games nights so it just doesn’t feel right without food! I understand why people who watch sports have food at their viewings, it’s the same thing! Don’t forget little plates and napkins so you can keep the food off the game pieces. You will also want coasters for your drinks, especially if you are using a nice table. We love having some background music to listen to while we play games. You can turn it down if you play a game that requires lots of concentration. Otherwise pump the tunes in! Put on whatever most of the family likes. That’s the most important now isn’t it? If a certain game is too hard for someone, move on to a different game. Sometimes new games don’t go as planned. Feel free to change the rules to make it fit your family, as long as everyone agrees ahead of time, you can have a fun game night. Keep in mind the group you have. If you have someone in your group that has trouble reading, don’t play word games. If someone has math trouble, don’t play games that require you to do math. It has to be fun for everyone.